If you think you knew everything that Vikings has to offer, think again. For the month of July, every weekend, Vikings has something new to offer and we were lucky enough to have been the first to try it. The American Independence Day menu will definitely leave you wanting and coming back the next weekend. 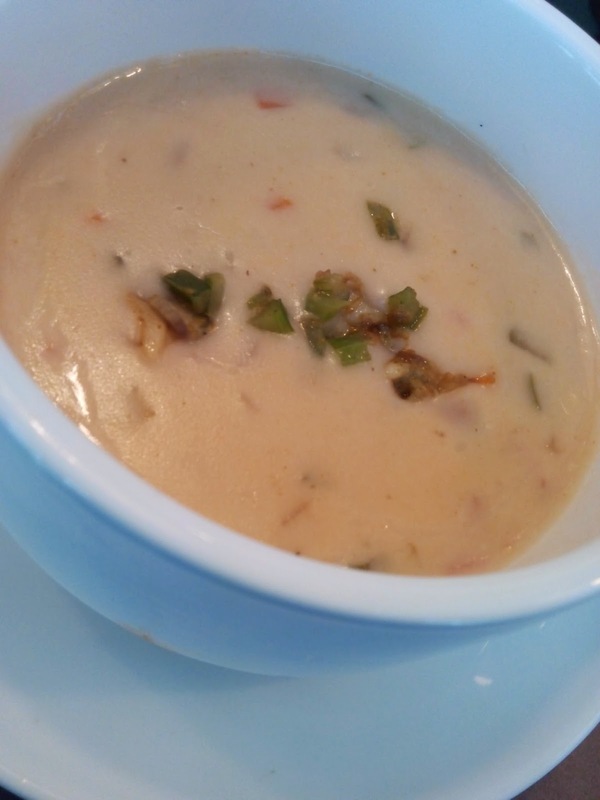 The Boston Style Clam Chowder was defiitely something worth a 3rd cup. Yes, a 3rd cup because I had two and it still made me want more. It was creamy and it was filled with everything a clam chowder should have. Since it was a sit down lunch that we had, the chef actually plated our meal and it came out looking like this. My personal favorites were the Salmon, the taco, the hawaiian chicken and the New Orleans Seafood Gumbo. 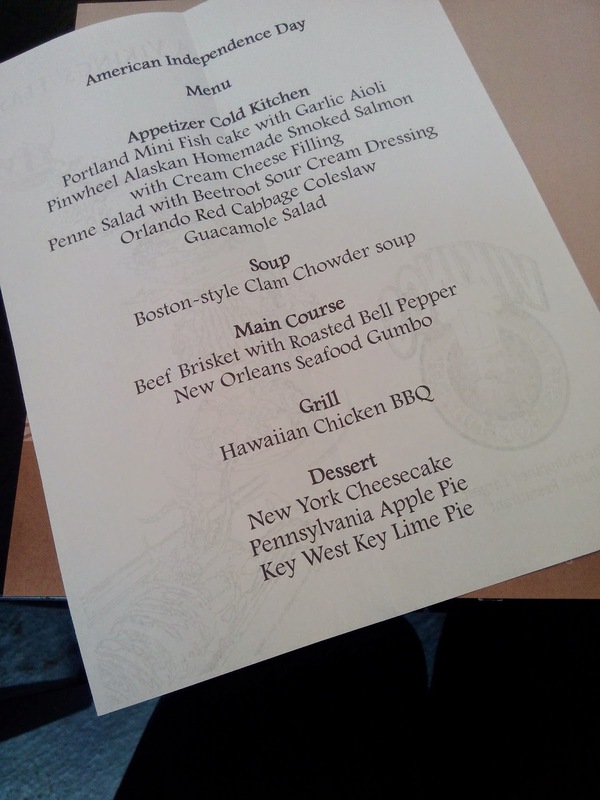 We were also served three different kinds of pie and I can honestly say that I fell in love with the Key Lime Pie. Go ahead and try this out for the month of July. It's every weekend and you definitely can't go wrong with it.